Select one of the following speeds from the drop-down menu. Brown Ice is a faster than Yellow Ice Powder, but slower than White Ice Powder. Each can holds one pound of powder. 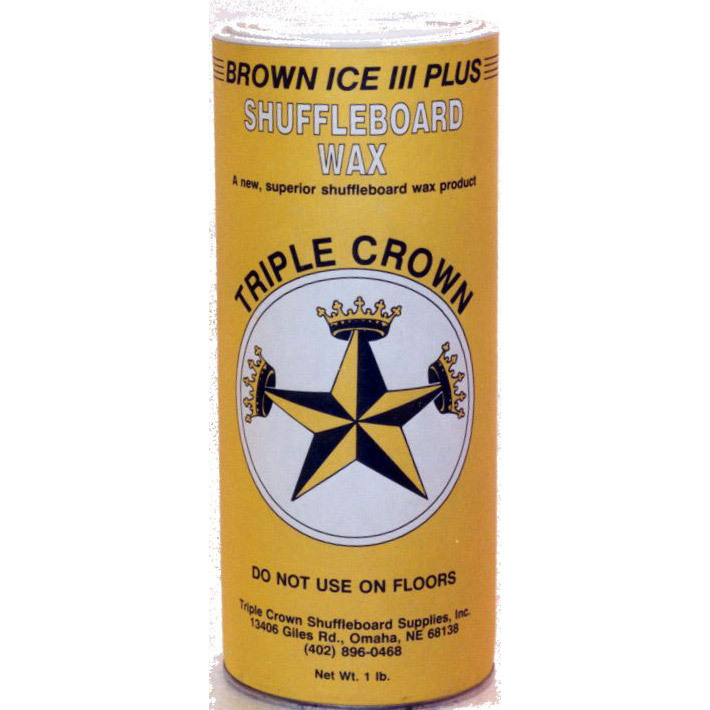 The Triple Crown recommends Brown Ice powders for 18' and longer tables. *The roman numerals increasing in value means that the powder is faster in its respective color choices. 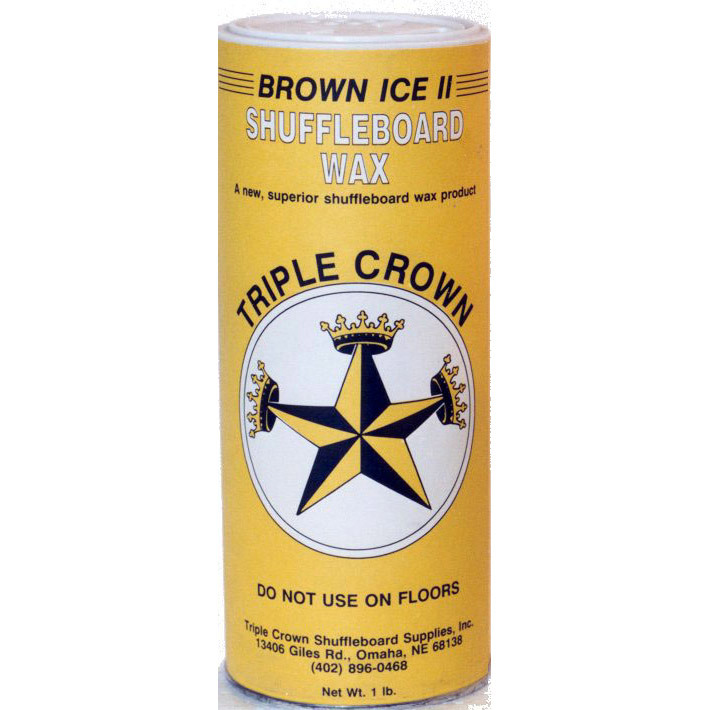 This shuffleboard wax powder combines speed and control. It works as a medium-fast wax on 14'-22' shuffleboard tables. This shuffleboard wax powder is faster than the previous. 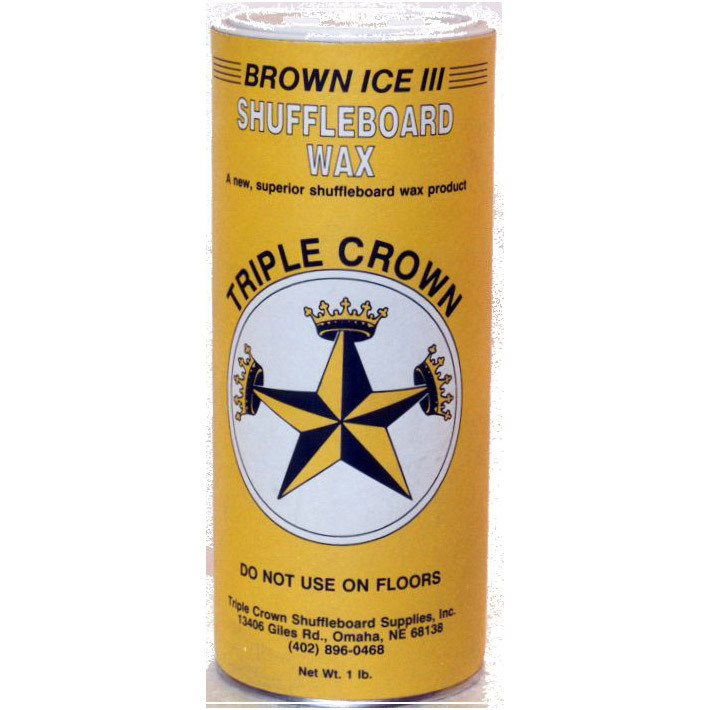 It works as a fast wax on 14'-22' shuffleboard tables. This is tournament grade powder for serious players. The level of speed and control is preferred by professional players. This is tournament grade powder for serious players. The level of speed and control is preferred by professional players. This mix has the speed of the previous, but offers a little more control. Does it contain nutshell powder? We have customers who do not tolerate this..
Brown Ice Shuffleboard Powders that have a crushed walnut shell in them. Our White Ice and our Yellow Ice Shuffleboard Powders do not contain any nuts or nutshell products. I thought the wax would be faster. It doesnt seem that fast.